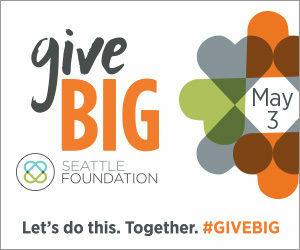 Remember to mark your calendars for this year’s “give BIG” campaign by Seattle Foundation. On May 3 you can #GiveBIG (or little)—everything counts! Donations will be stretched thanks to funds from Seattle Foundation and corporate sponsors. Donation forms are live starting April 18 @Seattle Foundation’s #GiveBIG site. Puget Sound Beekeepers Association give BIG donation page is here. Be sure to donate before Midnight on May 3rd!